Finally! It took you far to long, but better late than never. Now, could we please get repeatable reminders? and the option to assign BOTH a location and a time/date reminder? And calendar integration? And please, let google search on Keep on android device search. Lots of 3rd party apps do this, yet your own notes app does not. As cool and easy to use as Keep is, you are far behind the competition on practical utility. Anyway the wind blows doesn't really matter to me, tooooo meeeee. I'm a combo breaker! Lol! Are there any plans for an iOS version? How exactly do you share with someone? I've updated and see no options to share besides what already existed under send. The app isn't actually updated yet, it is slowly rolling out today. If you go to keep.google.com and see your notes there is a new 'Share' button. Actually forget my last comment, the update is server side. If you go to keep.google.com and actually Share a note with someone it will activate the option in your phone app as well! Sweet, thanks! Been waiting for this feature for some time and love it already. This is great and all but I'm still not using it yet. Once they fully integrate this with Drive, then I'll be interested. Until then it will sit unused on my devices. I've got lists, notes and reminders already in Drive, I don't need one more place to try and recall where they are. 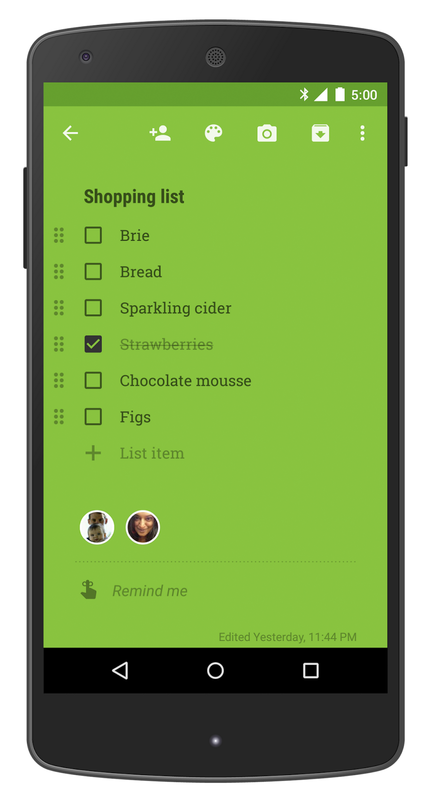 ...and now that you can share a list, such as a grocery list, you can have it pop up when you get to the store using location reminders. I don't think drive will do that. Please, please please make an iOS version. It's a great app, but when the people you would like to share with use an iPhone it means the share function is worthless. Apple has been cutting ties with Google... probably wont see one directly from Google. Might it be time for you to convert as well? As I said, people I would like to share keep notes with have an iPhone. Many other google apps are on both platforms, so saying that apple cutting ties with google doesn't really seem much justification for the lack of ios support, especially given that they are clearly working on keep to improve it. The mobile web version is terrible, cannot open the overflow menu to delete, amongst many other layout issues, so that's not really a viable alternative either. Hashtags and labels would be a nice addition. Doesn't anyone at google read the user feedbacks or forum discussions? WHAT IS NEEDED IS AN UNDO OPTION!!!! Even if they get this option working, it appears to be restricted to a google+ only share option and all of theo other share options have been removed, so, instead of being an improvement, this change cripples keep even more than it was before this de-provement. Wake up and listed to the users instead of the marketing department! Can you please add the ability to resend an alert to the person you share a note with that you have made a change to some of the information that is on the note? Can you please add the option to protect the Keep app with a passcode or password like the Dropbox app does. I like to write down infrequently used username and passwords in Keep and it would be nice to add a layer of security. Now we just folders/categories !! Why don't you just buy Trello? This is nice, now I would like to see some google wear integration something like. "Create new 'shopping' list" that would create a list and have commands like "Add 'milk' to 'Shopping' list"/"Remove 'milk' to 'Shopping' list" to manage the list. Additionally would be nice to have some better location support also Android Wear/Keep Functionality Add something like "Create new location 'Walmart Super Center' Current Location" that would create a Geo-Fence location Called "Walmart Super Center" you could then say something like "Remind me of 'Shopping' list when im at 'Walmart Super Center'" that would turn on the Geo-Fence piece of Keep. 1. Now the apps background tile color is white, plz return it to transparent tile like in the kit kat. 2. I only have few additional apps installed ( blackberry messenger, skype, line, whatsapp, clean master and snapdragon battery guru ) but the battery draining faster than kitkat does. I hope you will come up with a solustion really soon for this. Thank you so much! Great job! Keep it coming! I would like to know how this is done! As far as I know Keep is based on Google Drive (obviously the AppData folder because you can't see the notes in Drive itself). So how did you do the share feature? I would like to use it in my apps, too. Google Keep is very awesome app, it's one of my favorite apps, I use it all the time (I use a Nexus phone), but it needs to be an iOS version. I really thought that it would be an iPhone app on the next release, apparently I was wrong, I hope that it could be very soon. Yeah I know, could use the web version for mobile, but it's impractical on a smartphone, it needs a native app. 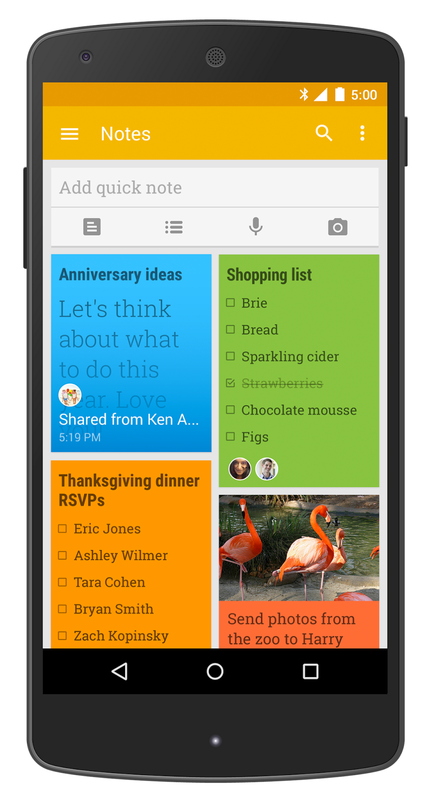 Google keep is really awesome android app, big advantage is that every one can keep the ideas on one platform and share with all friends and family. 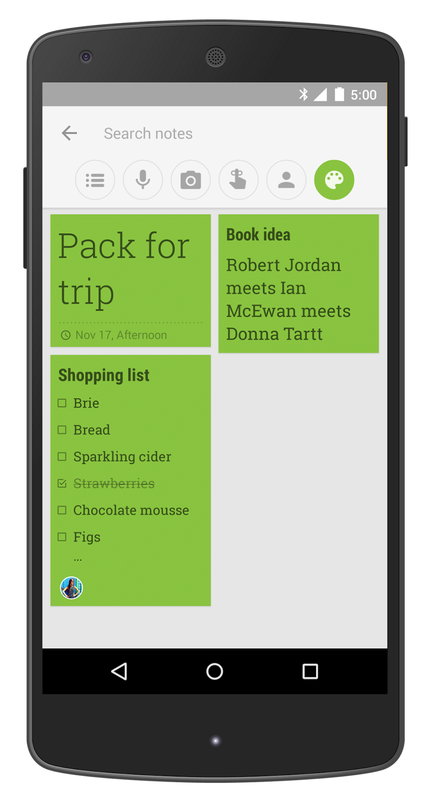 Google keep growing (thumbs up). Hello your blog is sharing great information on this topic, we are providing τι ειναι το bitcoin. Thanks for sharing this information. Have to say Google always make one open-eyed. Some really gadgets fantastic and convenient to people's life.